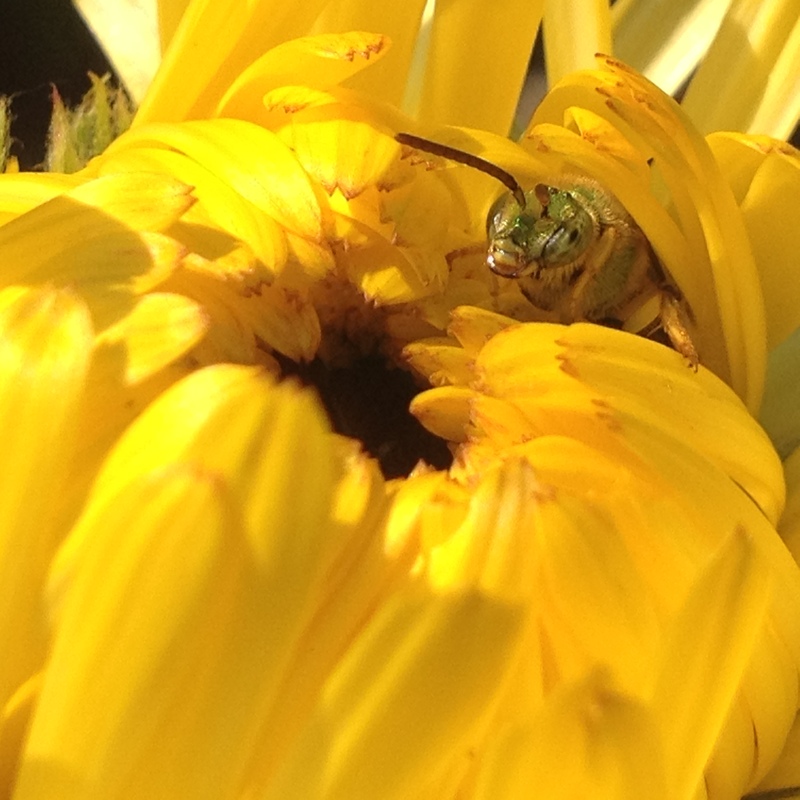 Honeybees and other pollinators need our help. We humans have moved (forced) honeybee and pollinator species around and between continents, contaminated their food sources, and been a huge cause of stress on their health and environment. Raíces EcoCulture started its Apiculture Initiative in the spring of 2014 to learn and share as much as we could about the bees, but more importantly to jump into action and take steps to help them in our every day lives. Here are some of the things we do, and that you can do, to help. 1. Plant flowers and herbs. Bees and pollinators need clean food. Our environment is saturated with chemicals and toxins and the bees and pollinators feel the effect of that. While foraging, they are often exposed to chemicals such as pesticides, herbicides, fungicides and chemical fertilizers on lawns, farms and roadsides, air pollutants that settle on flowering trees and plants along roadways, the list goes on (not to mention, GMOs!). That adds up to a great stress on these little insects so they can use all the help they can get finding clean food. Even if you can only plant one or two plants in pots or along a sidewalk, every flower is a potential food source for pollinators, and they’ll find it! Whenever possible opt for organic seed and open pollinated varieties (highly hybridized plants that have been bred not to produce seed provide much less pollen for the bees). If you have a vegetable garden, add a few flowers in between the plants. They will attract pollinators that will in turn help the vegetable plants in your garden to flourish. There are also many garden plants that can be useful to both you and the bees! 2. Don’t use chemicals. It will be of no help to the bees if we plant flowers that attract them and then spray chemicals on or around them. If you treat your lawn or garden with chemicals, stop. Yes, they can make your lawn and garden look nice with minimal work, but at the expense of killing off the life in your soil and contaminating your little piece of earth and the food sources of bees and other pollinators. Try natural solutions, like changing your planting methods to attract predatory insects that will attract pests, mulch to keep down weeds or as a very last resort, organic applications. 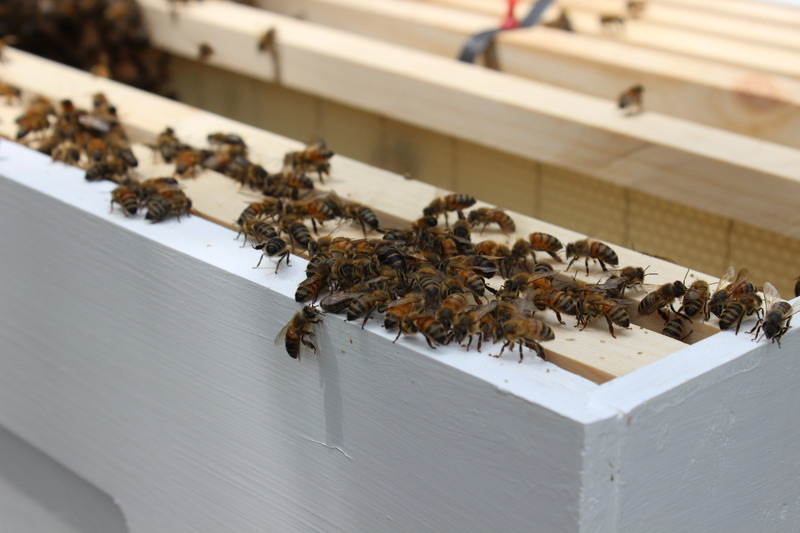 Those take some time and work and are not foolproof, but they do a much better job of promoting harmony with nature, keeping the bees and pollinators a little bit safer. And remember, leaving a few “weeds” in your lawn isn’t the end of the world and can help the bees…just think of them as flowers growing in an unusual spot! 3. Keep a dish of water in your garden or yard so thirsty bees and butterflies can stop for a drink. Make sure to leave some stones, marbles or corks in the water for them to stand and rest on, and change the water daily to discourage mosquito breeding. 4. 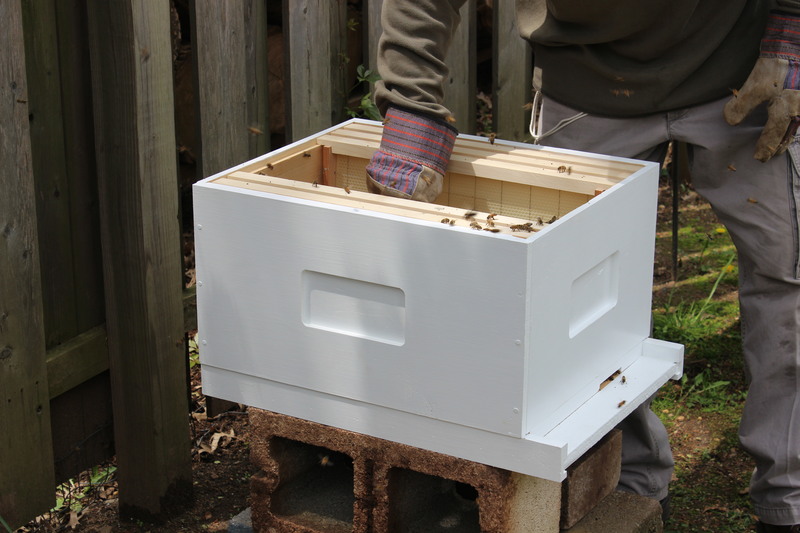 Become a beekeeper. If you want to keep honeybees of your own, be sure to spend time doing research, research, research. 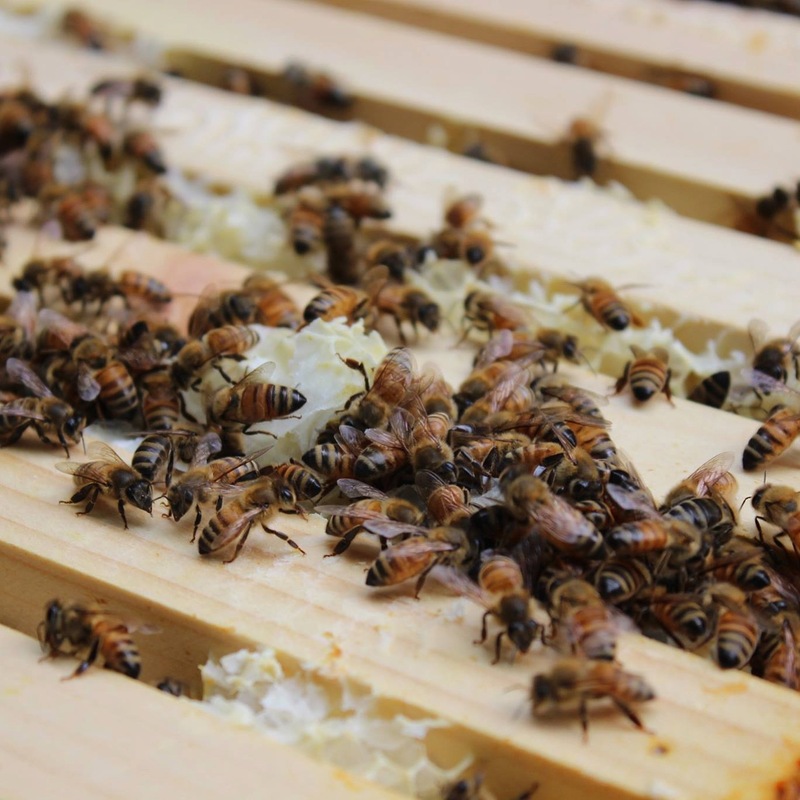 Take local classes, read books, watch videos, join a beekeeper association. There’s a lot to learn, and although the bees basically take care of themselves, with a little guidance and care from you, it’s best for you and for the bees if you go into it with as much knowledge as possible. 6. Buy local, raw honey. Not from a grocery store if you can help it, but directly from that beekeeper you befriended. That way you know where the honey is coming from, you know it’s real, you cut out the middleman and you support the beekeepers operation. If you can’t find a local beekeeper, look for it in the nearest health food store. 7. Buy organic food from a local farmer. Find a farmer who cares about their land. Learn about the practices they are using, make sure the farm is biodiverse and that your food (and the food of the local pollinators) is not coming from a monoculture. Learn how to eat seasonally as much as possible. Visit farmer’s markets. Preserve as much food as possible in the summer and use it through the winter. It takes some adjustment but helps the farmers, helps reduce the ecological footprint of transportation and helps our pollinator friends. 9. Educate yourself. Research and learn as much as you can about local pollinator species, bees and beekeeping, the plight of the honeybee and the monarch, anything you can get your hands on that will help you understand the bees and pollinators, our impact on them and what we can do in our lives to make a stronger connection to them, as they are such an important part of our world! A few resources are located at the end of this article to help give you a start. 10. Educate others. Share ideas, information and solutions with others in your community.Share/post/forward this blog article. Find those with a like mind and start a dialogue. Then take it to the next level. Don’t just dialogue, take action together! Things have changed for the worse too quickly to wait, especially for some species of pollinators like the monarchs and the honeybees. If you want to help, start taking steps today and every day, every little bit helps. An important point that I saw made in a forum a while ago. Buying plants already in flower from nurseries is not a good idea if you want to save bees. It’s almost guaranteed that those flowers have been sprayed with pesticides to keep them looking perfect – customers don’t buy plants with holes in the flower petals – pesticides which will kill the bees in your garden. If you do buy plants already in flower, remove all the open blooms before planting them out. You miss out on the instant display, but you save a few bees. Great point, Beth. Thanks for sharing that idea and information. I believe that’s an extremely important point. The reason I didn’t think of it before was because I always grow my own flowers! I’ll be sure to integrate that idea into the article when I update it!